Saturday Kitchen is a popular magazine-format show broadcast live on BBC1 for 35 weeks of the year. Combining a regular band of chefs and celebrities, as well as archive material and interactive features, it achieves a perfect balance of lively on-screen atmosphere with practical cookery content. Hosted by James Martin, the programme has a down-to-earth approach with attention to modern food trends that appeals to not-too-serious cooks. 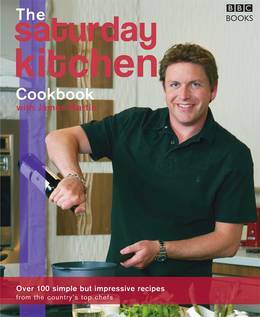 The Saturday Kitchen Cookbook contains over 100 inspirational recipes from the show, bringing together new ideas from some of the nation's favourite chefs, cutting-edge recipes from fresh talent, a variety of different cuisine from all around the world and a wealth of tips on current food topics.